Click on the map to explore a township, or use the controls in the top left to move around the map. In England, a township (Latin – villa) is a local division or district of a large parish containing a village or small town usually having its own church. A township may (or may not) be co-terminous with a chapelry, manor, or other minor area of local administration. Liverpool’s historic townships were part of either Walton-on-the-Hill, Childwall, or Huyton, as described in the Victoria County History of Lancashire. These in turn were part of the Hundred of West Derby, one of six hundreds in Lancashire, reaching all the way to the Ribble around North Meols. Click on one of the townships to find links to articles, or a more detailed map showing the protected sites and monuments in that area. #Halewood and Huyton are part of Knowsley. # And Bootle and Aintree are in Sefton. You’re right, those areas are not within the modern boundary of Liverpool. 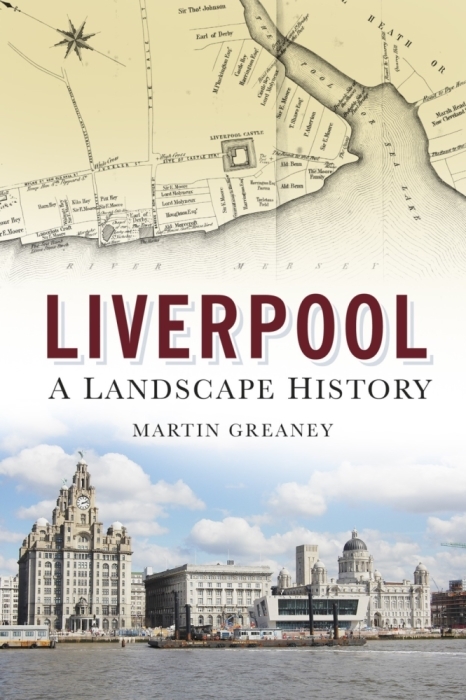 I’ve chosen them because they’re all in the Victoria County History of Lancashire as townships in the Hundred of West Derby, and it seemed a good idea to include a few on the edge of the modern city which are related to Liverpool’s fortunes over the years. Looking for an area that was called Eatonfield in 1919. Can you help? I have a relative that indicated he grew up in Bootle on Masefield Place. Has this district since been changed to Orrell Mount? From what I can discern from searching online, Masefield Place still counts as part of Bootle, although it may also be considered by some people as Orrell Mount too. I’m not sure what the boundaries of this are, or if there are any specific for Orrell Mount. We are looking for a photograph of Martins Bank, 168, Allerton Road, Liverpool for the Martins Bank website and wonder if anyone has a copy which they would permit us to use subject to the appropriate recognition being given? Hello, I live in Melbourne, Australia and I’m writing a memoir based on women from Liverpool. I’m a descendant of Thomas Taylor (carter then grocer)DOB 29/7/1827 & Elizabeth Finch of Everton, and his son James Alfred Taylor DOB 31/3/1866 (grocer) & Margaret Halstead Ashworth (reputed to be educated and artistic) both from Carisbrook Rd Walton, later of Ferndale Road, Hoylake. I’m interested in hearing from anyone who is descended from or knows of James and Margaret, or his children: Ethel Finch m. Williams, Alfred Taylor, Dorothy m. Moffat, Madge/Morfory m. Williams. Are any of the Taylors still in the grocery business? What happened to James Taylor’s sons to make them leave? James remarried in 1911/12 after Margaret died: does anyone know about this? Does anyone know anything about Margaret Halstead Ashworth and her background? Been looking for old photos or info of Adelaide St Everton. Next to Melbourne St. My Nan and Grandad and family lived there before moving between wars to the new Norris Green where I was born. It was to Adelaide St that news was sent of my great uncle’s death in 1917 in France. I visited his grave in Mauberge a few years ago. Family’s name was Lee. My great uncle William Lee. Boumphrey (also from Liverpool) in 1927. They lived at 56 Pickwick St, Toxteth in 1928, in approximately 1929 they moved to 78 Dorrit St then I think, to Upper Parliament St, then to 71 Park View Roby in 1935. They attended St Nicholas Church. They moved to Glasgow in 1938. I would be very interested to find out any info I can, eg if the houses they lived in are still there & if anyone can tell me how I can find out the house number in Upper Parliament St where they lived & if it was a house or flat? House numbers should be on the census records. When you say you think they moved to Upper Parliament Street, which source tells you that? Does it help you cross reference with the census? See what you mean about Adelaide St! One of the other photos is of Major Lester school. My mum may well be in that class,fits with her age. Florence Margaret Lee. Hi Sandra. Are you the Sandra Odogu who knows Deirdre Morley? If so can you send her your address/phone number? As she lost them some years back and wants to say hello and thanks for all the Christmas cards!